Rabbi Professor Menachem Elon z.l., Rabbi Professor David Hartman z.l. and Rabbi Menachem Froman, z.l. In moments of great turmoil great thing can happen. The destruction of stability may be painful but allows for new patterns to emerge. Stereotypes may fall apart and disappear but they pave the road for novelty. Expectations which we had dreamed off slip beyond our reach and make place for new opportunities. Former structures crumble and leave behind dust and sweat and cause us to be devastated. But they are the very foundations on which we can build new worlds. Pesach is about broad visions and not just window dressing. It demands real radical change. And it will hurt. It is liberating and explosive. Without it there is no future. And so it is with Judaism. Either we rethink Judaism or there is no need for one. This is the task of the David Cardozo Academy and its programs. We are proud to be in the forefront of a new experience of Judaism which has so much more to offer than we have ever imagined. Cori Widen was raised in New York, but is currently ‘growing up’ here in Israel, having made aliyah on her own almost 7 years ago. She lives in Efrat with her husband, Shalev, and their 15 month old son, Kaveh; her journey to both Efrat and Jewish life was long, and it isn’t yet over. She grew up in a family that, for some unknown reason, encouraged her to only marry a Jew, even though they had no real connection to their Jewish roots. Whilst in university, Cori became associated with various Jewish groups on campus and the rest is history. 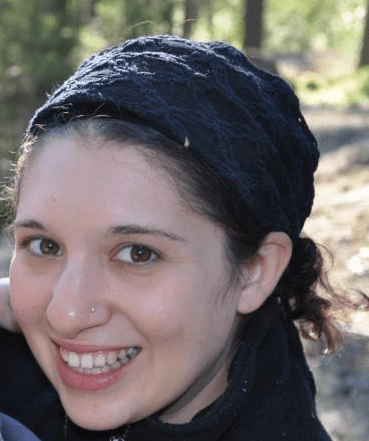 “I decided to make aliyah as soon as I graduated; it didn’t make sense to me to explore my Jewish identity and make major decisions about how I wanted to live my life anywhere else.” She wasn’t sure that she would stay forever, but now she’s pretty certain. On December 30, 2012, at a festive evening in Yad HaRav Nissim, Jerusalem, Rabbi Lopes Cardozo bestowed a “spiritual” Rabbinical ordination on two of his students; Rabbi Ariel Kahane Goldberg and Rabbi Shmuel Micha Yanklowitz. 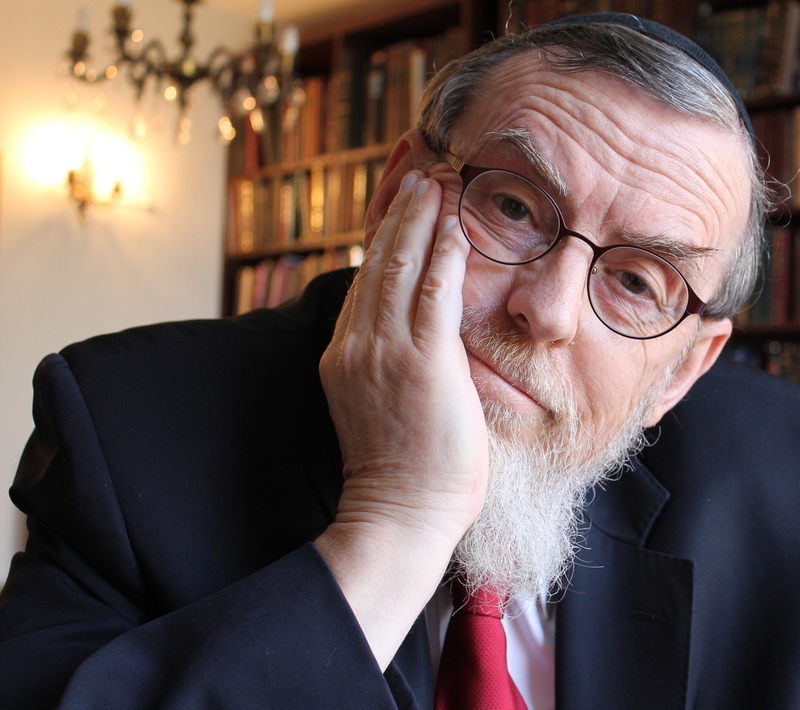 Rabbi Lopes Cardozo explained that there is an urgent need for future rabbis not only to be halachic experts but also to be Jewish thinkers of caliber who are at home in Jewish and general philosophy, scientific discoveries and who also understand the many spiritual and intellectual challenges which Judaism is confronted with today. With the departure of Lord Jonathan Sacks as Chief Rabbi of Great Britain, who has an international following, the Institution of the Chief Rabbinate is losing one of its most intellectual spokesmen, leaving behind an enormous gap. With the passing of Rabbi Professor David Hartman (read more about him below) the Jewish world has lost one of its greatest thinkers and became so much poorer. Over the years the Chief Rabbinate in Israel has been incapable of suggesting any new ways to engage Israelis with Judaism. It has stagnated Judaism and run away from any creativity, and spiritual and intellectual content. With the election of new Israeli chief rabbis after Pesach, the State of Israel is challenged to appoint religious Zionist rabbinical leaders of courage and broad thinking. Mediocrity must be removed and drastically different Chief Rabbis are much needed. Besides being deeply religious, the rabbis chosen need to be intellectuals with a broad secular education, to be able to converse with and inspire not just the general public but also the academic woirld which plays a crucial role in matters of education and so much more in the Jewish state. The highest goal of a Rav be-Yisrael is to inspire and to be an outstanding example for his community, all of Israel and the world. Wherever he goes he will create a Kiddush Hashem and make people stand in awe. He will be a man of great religious and moral integrity and walk in the footsteps of Avraham Avinu, the first Jew in history, who discovered Judaism on his own. He will grow to be a disciple of Moshe Rabenu whose Beth Midrash was initiated at Sinai. He will be concerned about and active in social issues not only for Jews but also for gentiles and will see his main mission as being a light to the nations, as the people of Israel are commanded to be. He will understand the many challenges his followers may have, concerning faith in God and the divinity of the Torah, and he will never reject people who are tortured by doubt but will listen and draw them closer to the God of Israel and the teachings of the holy Torah. He will understand the weaknesses of the most secular human being – weaknesses of the human heart – as well as the fight fought by the religious Jew who wishes to remain authentically religious. He will have studied Halacha in great depth but will always teach it as if its laws are music notes by which Jews should play their own soul music. In that way, he will inspire his students and followers to become righteous people and strive for absolute honesty. He will study and incorporate in his very being the holy Midrash, Jewish philosophy, Aggadah, Mussar, and Chassidic teachings. He will learn from any wise teachings, Jewish or gentile, and will understand that even secular studies, such as science, can allow him to hear the voice of God and the meaning of the Torah. He will understand that we do not need more textbooks; what is needed most of all is a multitude of text people whom we can study so as to be inspired by the deepest awe of Heaven. May you continue to surpass yourself in yirath shamayim and make people fall in love with our tradition as they never did before; may you study Torah until you transform yourself into a living Torah scroll; and may God find a great partner in you. In the last half year, since Rosh Hashana, Rabbi Lopes Cardozo and his Rabbanit have visited the USA and Canada. They were twice in Detroit for family semachot, at the famous Young Israel community of Oak Park where their son-in-law Michael Cohen is the Rabbi and their daughter Deborah Sara the Rabbanit. The first was the marriage of their granddaughter Leah to Rabbi Yechiel Haboura, followed just a few weeks later by the bar miztvah of their grandson Yacov Shlomo Cohen who, not only read the whole parasha and haftara of Va’eyra, but also led the entire service and gave a drasha as if he was the Rabbi himself! Whilst there Rabbi Lopes Cardozo gave several lectures and also participated in seminars and discussion groups in the community of Oak Park. Additionally, a most successful and special evening was organized by the Jewish Federation of Detroit and Walking Home Institute of Mrs. Chava Lowenstein which focuses on mixed marriages and children who are of Jewish descent yet not halachically Jewish. On Shabbath November 3, Rabbi Lopes Cardozo was the scholar-in-residence at the Jewish Community of Hamilton. A huge crowd came to hear about his visions on future Judaism. The following day, Sunday November 4, Rabbi Lopes Cardozo spoke at the famous Torah in Motion Institute in Toronto which is headed by Professor Elliott Malamet and Rabbi Jay Kellman and serves as a platform for many Jewish intellectuals and Jewish thinkers. Rabbi Lopes Cardozo spoke about Spinoza and Judaism and also participated in a panel on the question of Jewish Identity in the State of Israel. In June and August of this year Rabbi Lopes Cardozo will be visiting the above countries. He has been invited by the Limmud worldwide organization to speak at their conferences in Sidney, Melbourne, Johannesburg, Cape Town and Durban, as well as to the New Zealand Jewish communities. He also expects to visit the Netherlands at the invitation of the Jewish Identity Day, Limmud and the AMOS community in Amsterdam, in addition to other Jewish communities such as The Hague in the Netherlands who have expressed an interest in inviting him to lecture. Many highly unusual lectures continue to be given by Rabbi Lopes Cardozo and other renowned rabbis and professors. This year’s theme is The Impact of Judaism on General Philosophy and other Religions. Rabbi Lopes Cardozo discussed one of the most controversial issues in Jewish philosophy. What actually happened at Sinai? What does it mean that God spoke on this occasion to all of the Jewish people and what does it entail when it says throughout the Torah: “And God spoke to Moshe?” Why did the Jews tell Moshe that they no longer wanted to hear God’s voice because they were afraid? Did they actually hear anything? What was the quality of this hearing? Could it have been a Divine / human voice? What are the implications for this today? Why do we no longer hear Gods voice? Is it because He no longer speaks, or because we are incapable of hearing? The great Chassidic thinker and Master, Rabbi Menachem Mendel of Rymanov gave a most unusual answer – “God speaks in powerful silence”. November 28, 2012 – the next lecture in the series was a Panel on “How Judaism looks at World Religions, Jewish Theology taking a fresh Look at the Other”. The participants were Rabbi Dr. Nathan Lopes Cardozo, Rabbi Dr. Alon Goshen Gottstein, Professor Yehuda Gellman, Professor Raphael Jospe, Dr. Dov Maimon and Rabbanith Gilla Rosen. This was held in conjunction with the Elijah Interfaith Institute and the Yakar Center for Tradition and Creativity. The topic of the panel was based on the publication of a most remarkable book: Jewish Theology and World Religions, edited by Alon Goshen-Gottstein and Eugene Korn, in which new roads were suggested on how to deal with other religions, giving them much more credibility, and attempting to learn from their wisdom without losing the uniqueness of Judaism. Alongside Rabbi Lopes Cardozo, who introduced and chaired the evening, Professor Gellman spoke on Buddhism, Rabbi Goshen-Gottstein on Hinduism, Professor Jospe on Christianity and Dr. Maimon on Islam. The closing remarks were given by Rabbanith Rosen of Yakar. The large audience at the Beth Midrash of Yakar, that filled their auditorium to capacity, was made up of both scholars and laymen. January 1, 2012 – Rabbi Francis Nataf spoke on “The Two Jewish State Solution. Fresh Thinking about Religion and the State of Israel”. While the same old solutions to the conflict between Judaism and secular Democracy were being debated by politicians competing for the Knesset, the DCA’s former Educational Director, Rabbi Francis Nataf presented a completely novel approach. He stressed the need to admit that there is a real impasse and that trying to redefine Judaism or Democracy is not the answer. Having spent several years researching, writing and speaking about this topic, Rabbi Nataf suggested that greater autonomy for the religious as well as for the secular Jewish community in Israel may actually be the elusive key to a more workable arrangement. Admitting that his ideas were primarily a thought experiment, he challenged the audience to come up with their own creative ideas on how to deal with a major problem that, as the making of the next government coalition has shown once again, simply won’t go away. February 5, 2013 – Yael Unterman addressed a very relevant issue for many: “Lonely Man of Faith – or of Despair, Philosophical, Literary and Spiritual Perspective on Singlehood “. As an author, teacher, member of the Cardozo Think tank, student and colleague of Rabbi Lopes Cardozo, Yael turned to biblical, Talmudic, Midrashic and Hasidic texts to shed new light on a contemporary phenomenon – the frustrated search for a loving partnership and marriage. In examining Genesis 2, she suggested a notion of “the bread of yearning,” in which one earns and appreciates an object only through the act of yearning. The yearning for Messiah and the yearning in Tanach, both of which might prove debilitating, can also awaken action and transformation into a more evolved self. In discussing the famous aggadeta suggesting that matching people up is “as difficult as the splitting of the Red Sea,” she asked why this counterintuitive metaphor was chosen. She also unearthed pertinent points in the stories of Zelophehad’s daughters, Ruth, Ben Azai, Rabbi Eliezer ben Hyrskenus and Rabbi Akiva, ending with two ideas from Rabbi Nachman of Breslov. The Jerusalem Lecture Series will resume after Pesach – notices will be sent by email and posted on the website. On February 16th, Rabbi and Rabbanit Lopes Cardozo hosted a Melaveh Malka for the Think Tank in their home. The party also celebrated the recent marriage of long-time Think Tank member, Asaf Ziderman to Avital Engelberg. The guest speaker was Tomer Persico, Ph.D. candidate and media commentator who spoke about contemporary religion and spirituality, particularly New Age. He described various types of neo-Hasidism in existence today, and their relationship to halacha and raised the point that, whereas once people’s religious identity was defined by various intellectual factors (“proofs”), today the emotional aspect (“connection”) bears a lot more weight. On February 21, after Ta’anit Esther, Rabbi Lopes Cardozo was invited to speak to a group from the UJA Federation of Greenwich, visiting Jerusalem, on an issue of general interest for religious and non-religious intellectuals. He discussed the above topic and showed that throughout history, the Jewish people lost some its most gifted members due to the poor quality of Jewish Education they received. Dogmatism and religious fanaticism, although mild compared to extremism in other religions, made it impossible for some very intellectual people to stay in the fold. Rabbi Lopes Cardozo explained that this is not the Jewish way to deal with those who have many questions. On the contrary, Judaism always encouraged questions and intellectual and spiritual arguments. Spinoza’s and other thinkers’ claim that Judaism depends on obedience is a misconstruction and a (deliberate?) misreading of Jewish sources which encourages constant debates between God and man in which God always listens to man’s point of view, sometimes declaring that He has been refuted in the argument. In the last few months, the Think Tank has continued to work on the development of the “Personalized Halachic Process” (PHP) workshops which are aimed at being piloted to focus groups (in about half a year) and thereafter to be made available to the general public (in about 1.5 years). In sum, the purpose of the PHP workshop series is to allow people to explore halachic questions while considering each person’s distinct individuality and his or her particular relationship both to God, and to his or her community. In this exploration, we seek our answers from the halachic system, turning to it for law, wisdom and guidance while grasping its many and often competing values, and noting where its richness has been flattened in the process of codification. What will, hopefully, result from this process is a profound halachic plan of living that is right and suited for each particular soul, enabling an informed, committed, authentic and joyful Jewish life. In the future, the DCA envisions offering a series of workshops (“PHP modules”) to the general public on a number of issues with which many halachically engaged people currently struggle, such as the question of whether it is permissible and/or desirable to change the formula of prayer on an individual level, or whether and to what degree a woman should cover her hair after marriage. The group is currently focusing on developing the first of the PHP modules. This is a “meta-module” designed to study the history and process of making halachic decisions and to examine the scope and limits of the individual’s and the rabbi’s authority. The meta-module is a unit unto itself which is envisioned to be of great benefit to participants. It is also a pre-requisite for the other PHP modules, on the assumption that one cannot effectively examine one particular halacha without understanding the way halacha works and one’s own attitudes and expectations. The Think Tank is designing each PHP workshop unit so as to contain elements of textual study, chevruta (paired) or group learning, discussion of personal attitudes, clarification of what informs these attitudes and examination of the competing values of the particular area of halacha under question. DCA Think Tank members are working with the understanding that halachically-committed Jews today find themselves in a constant struggle between surrender and commitment to the collective on the one hand, and reason and intuition on the other. This struggle may cause much discomfort; but it may also be seen as, and become, a religious act in and of itself. Rabbi Lopes Cardozo guides the different projects together with Yael Valier and Yael Unterman who spend a considerable amount time organizing these sessions. Rabbi Yehuda Ber Zirkin, an unusual talmid chacham is the halachic adviser. Cardozo on the Weekly Portion – Incisive and highly unusual perspectives on the parashiot and the different festivals. Spiritual Halacha. The Great Struggle between Law and Spirit – This book will include new insights into the spirit of Jewish law for the contemporary religious autonomous personality. Judaism, to me, is not about laws but about music and musical notes. In all of its laws, I hear powerful sonatas that transform my soul: Tchaikovsky’s Violin Concerto in D Major, Op. 35, with its heights of intensity; Johann Sebastian Bach’s Piano Concerto No. 1 in D Minor, with his iron fist, uncompromising dedication to detail, and strict adherence to rigid rules of composition, resulting in a phenomenal outburst of emotion. When I listen to these masterpieces, I encounter the thunder and lightning experienced by the children of Israel when God revealed His Torah at Mount Sinai. It feels like being hit with an uppercut under the chin and remaining unconscious for the rest of the day. But I also hear Igor Stravinsky’s recreation of Bach’s cantatas and, even more, his Le Sacre du Printemps (The Rite of Spring). The scandal it caused when it was performed in Paris on May 29, 1913, led to a breakthrough in the world of musical composition. The music never had a chance as the audience erupted in riotous behavior almost from the first sounds. The weird resonance, the odd twists and turns of melody proved disconcerting to many. There were reports of fisticuffs, spitting, slapping and even threats of dueling. Still, Stravinsky won the day. His first performance may have lost the battle, but since then, this masterpiece generates ecstatic reactions among many music lovers. It brings to mind the great debates of the rabbis in the Talmud who showed unprecedented courage by interpreting Jewish law and philosophy in infinite ways that caused major conflicts, many of which have not been resolved to this day. The spiritual riots and debates concerning the words of God at Sinai continue to keep Judaism ever fresh. I think of my non-Jewish friend who came to see me in the renowned Gateshead Yeshiva in England, the “Lakewood of Europe,” where I was studying at the time. He wanted to understand what a talmudic college was all about and wondered what I, once liberal-minded and secular, was doing in this “Jewish monastery.” I brought him into the Beit Midrash, where he expected to find a university-like, mannerly student body, speaking softly, whispering in near silence. What he actually encountered almost made him pass out. Hundreds of young men were nervously walking around, arguing and shouting at each other so that it was nearly impossible to hear one’s own voice. Turning to me in total astonishment, he asked whether this was a demonstration against the Queen of England or the British government. My answer shocked him even more: No, they are actually discussing what, precisely, did God say at Sinai over 3,000 years ago. I will never forget his response: “You still don’t know? “Indeed,” I said, “we still do not know!” Just as one can have major disagreements on how to interpret Bach or Brahms (Remember Glenn Gould and Leonard Bernstein?) so it is with Jewish law. There are many possibilities, and all are legitimate! We still argue about the words of God and have therefore outlived all our enemies. I worry when people, including influential rabbis today, suffocate Judaism by seeing it as nothing more than laws to be observed. Every dispute must be settled; no doubt may prevail; every philosophical disagreement has to be resolved. It seems they are unable to hear its ongoing and astonishing music. They are spiritually tone deaf. I was born by breech delivery, a very painful procedure, which my mother endured with iron strength. We nearly did not make it. It was Friday night, the eve of Shabbat, and I was born to two marvelous people who by Jewish law would not have been allowed to marry. Theirs was a mixed marriage. My father was Jewish, my mother was not. The physician was a religious Jew, Dr. Herzberger, who had to violate Shabbat to save our lives. It was Amsterdam, the 26th of July, 1946, just after the Holocaust. In many ways, both these facts—an unusual birth and being the child of a mixed marriage—have set the stage for my life. I often see things from a reverse position. What is normal for others evokes in me feelings of wonder and awe, and what others consider amazing I see as obvious. As the product of a mixed marriage, who converted to Judaism at the age of 16, I became somewhat of an in-out-sider. I had always seen myself as a “father Jew,” of zera Yisrael (Jewish ancestry) and therefore Jewish, but later on I learned that it did not make me a Jew according to Halacha. My mother, while still a young woman, came to live with my father’s family once she had lost her Christian parents. So, she grew up in a liberal, socialist, Amsterdam-Jewish cultural milieu, where Friday night dinners were comparable to chatunot, though my father’s parents were not religious and as poor as church mice, as were most of Amsterdam’s Jews. My mother was completely integrated in this world and while she knew she was not Jewish, she was an integral part of the community, spoke its language and felt totally at home in this strange, secular but deeply Jewish world. It is no surprise, then, that she converted years later, when she was in her fifties, after I convinced her of Judaism’s beauty. After all, she had always been a Jewess. With the permission of Hacham Shlomo Rodrigues Pereira, Chief Rabbi of the Portuguese Jewish community in Amsterdam, my parents were married kedat ukedin (according to Halacha) by the same rabbi who married my wife and me three months later. There was, however, a small but crucial difference: my parents had been married for over thirty-five years, while my wife and I were just beginners! Rabbi Cardozo hopes to expand this short biography into a full book. Faith can only be found in the light of one’s soul, never in dogma. Dogmas reach only the mind but not the human heart. Trying to translate faith into dogma is a misguided technical skill that leaves the human heart empty of that which is crucial to a religious experience. Faith is the art of living with a question and recognizing the spiritual power of the query, which only dies when it is answered. Faith is the refutation of an attempt to reconcile theological declarations; instead, it holds them, suspended, and through the tension between them it creates vitality. Dogmas are essentially descriptive and normative. They can’t penetrate the mystery that hovers over all questions and answers. They are unable to formulate the relevance of that which surpasses final beliefs. Faith thrusts the religious man into a place of reality that the mind cannot grasp and words do not reach. It is a moment when all definitions come to an end and any attempt to come to conclusive principles can only yield trivialities that become suspended in the heart of the man of real faith. Genuine Judaism can only be understood in its natural habitat of deep faith and piety in which the divine reaches all thoughts. In faith, a man must enter the world with all that he is and has. One does not sacrifice one’s life for dogma, only for deep religious faith. The difference between dogma and faith is like the difference between a word spoken and a word set to music. Faith is the refutation of human finality. It transforms dogma into something untouchable and gives man entry into the imponderable. It is resurrecting old words and infusing them with eternity. Since the secular world is often unable to experience inner silence and space, religious philosophers, out of mere spiritual poverty, invented dogma so as to respond to this emptiness by imitating the language of the peripheral to describe the ineffable. Dogma transforms religiosity into a showcase, and the result is indifference to the sacred. Dogma is a dead thought, while faith is a living experience. Dogma is an attempt to believe; faith is the will to wonder. Dogma is built from conventional notions and mental clichés. Faith is marveling at the incomprehensible and experiencing the world more as a question than an answer. Living by dogma is like demonstrating the beauty of classical music by showing somebody Mozart’s musical score and informing him that he no longer needs to hear the music. Due to popular demand by the local Israeli population a new page has been added to the website with Rabbi Lopes Cardozo’s essays in Ivrit. Many of these have appeared in Makor Rishon, a well-known high class newspaper read by both secular and religious Israelis. Included in this section is a long interview which Rabbi Lopes Cardozo gave to Makor Rishon at the beginning of the Jewish New Year. See www.cardozoacademy.org under עברית . Under the guidance of Rosa Banin, a new project which will bring all modern orthodox projects together under one flag and website will soon be available. This will provide direct links to the websites of the David Cardozo Academy, Rabbi Marc Angel, Yeshivath Chovevei Torah, Beith Morasha, IRF, Neemanei Torah ve-Avoda, Tzohar, Atid, Bnei Akiva and many more. In addition, as previously, Emor will include a journal by the same name. A new Israeli on-line Beit Midrash headed by Rabbi Ronen Neuwirth of Ra’anana has opened where Zionist modern orthodox Rabbis are available to ask their colleagues questions on halacha and philosophy. Rabbi Lopes Cardozo felt honored to accept their invitation to become a member since he is especially involved in halachic-philosophical issues dealing with new challenges in Jewish and general thought. Rabbi Professor Menachem Elon z.l., Rabbi Professor David Hartman z.l. and Rabbi Menachem Froman z.l. The David Cardozo Academy mourns the passing of three influential rabbis and teachers: Rabbi Professor Menachem Elon, Rabbi Professor David Hartman and Rabbi Menachem Froman. Rabbi David Hartman was one of the great religious philosophers of our generation. A prolific author, Rabbi Hartman was first the Rabbi of a modern orthodox community in Montreal. After the six day war he moved to Israel and founded the famous Hartman Institute which has great influence on Israeli society trying to bring secular and religious thinkers under one roof. Over the years Rabbi Hartman became convinced that a totally new “Jewish theology” was required to involve secular Jews into religious life. Rabbi Lopes Cardozo had the pleasure of meeting with and discussing Rabbi Hartman’s ideas on numerous occasions and attended many of his lectures. Most interesting were the panel discussions between Rabbi Hartman and the scientist and religious philosopher Professor Yeshayahu Leibowitz z.l., the “enfant terrible” of Israeli society. While Rabbi Lopes Cardozo agreed with much of what Rabbi Hartman wrote, there were also differences of opinion regarding the role which Halacha should play in Israeli society. Professor Hartman’s daughter Tova is the founder of Shira Chadasha, an orthodox synagogue where women receive aliyoth to the Torah and serve as chazanioth of the services. Rabbi Menachem Froman was the orthodox rabbi of Tekoa. An outstanding teacher and a strong supporter of the Israeli settlements, he was paradoxically, a relentless champion of peace between Israelis and Palestinians and had many leading Arab friends. 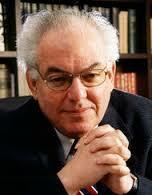 He was eulogized by heads of both Peace Now and the council of Jewish Communities in Judea, Samaria and the Gaza strip. Many important Arabs came to his funeral and expressed their condolences to Rabbi Froman’s large family and his many friends and students. 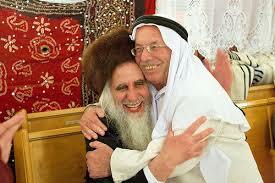 May all three rabbis’ memories be a blessing. Your contribution enables us to empower future rabbis, teachers and community leaders in the spirit of Rabbi Lopes Cardozo’s philosophy and that of the David Cardozo Academy. Please consider marking a special anniversary or remembering a loved one by making a donation. We would welcome your gift on line through our secure website: www.cardozoacademy.org/contribute/ or via one of our worldwide “Friends”. Aron & Betsy Spijer Stichting, c/o Mr. L.F. Delfgaauw, Kleveringweg 37, 2616 LZ Delft.